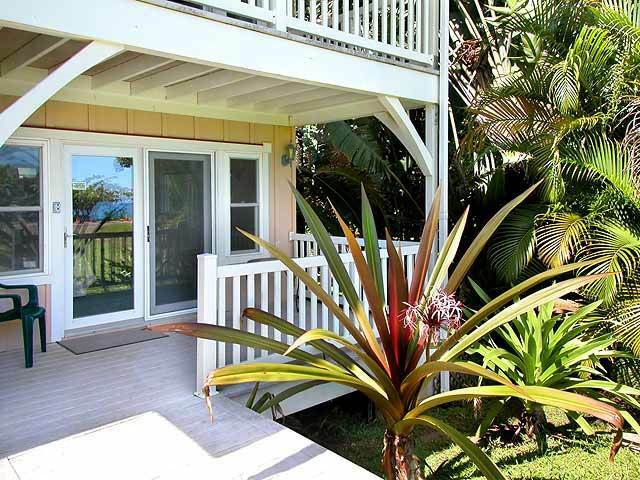 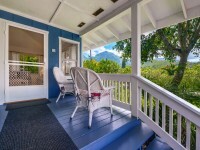 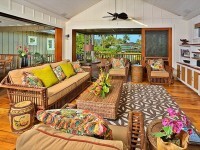 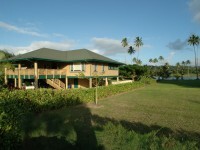 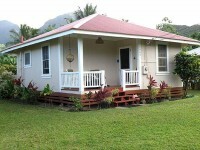 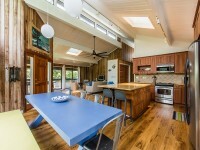 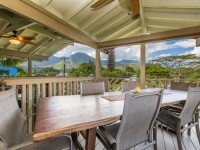 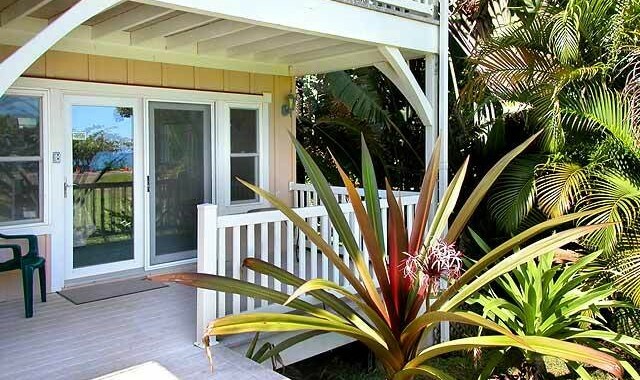 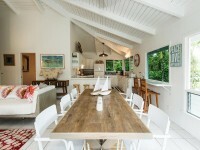 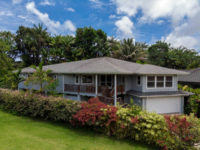 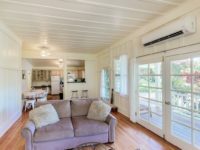 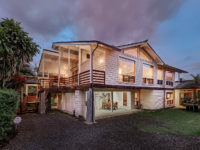 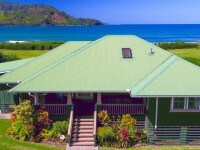 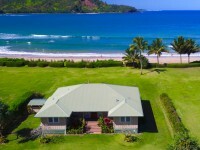 HANALEI, KAUAI VACATION RENTAL: This fabulous, two-story home is located about a mile west of the center of charming Hanalei town. 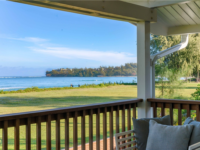 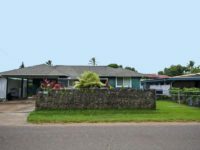 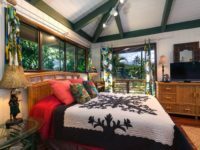 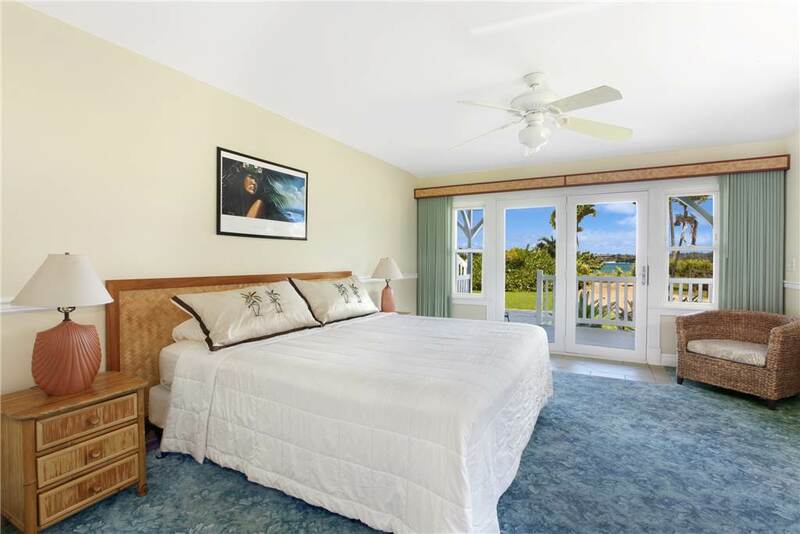 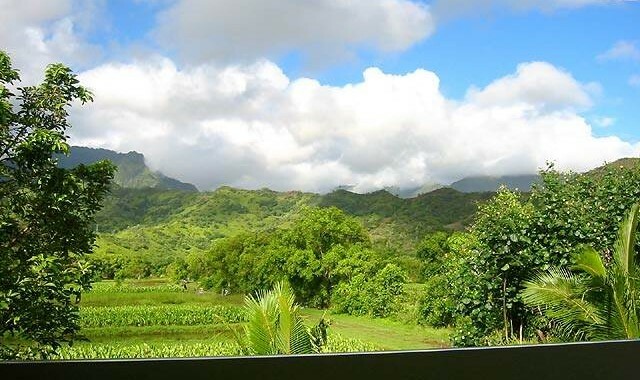 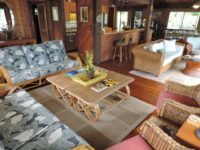 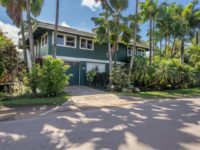 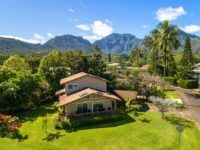 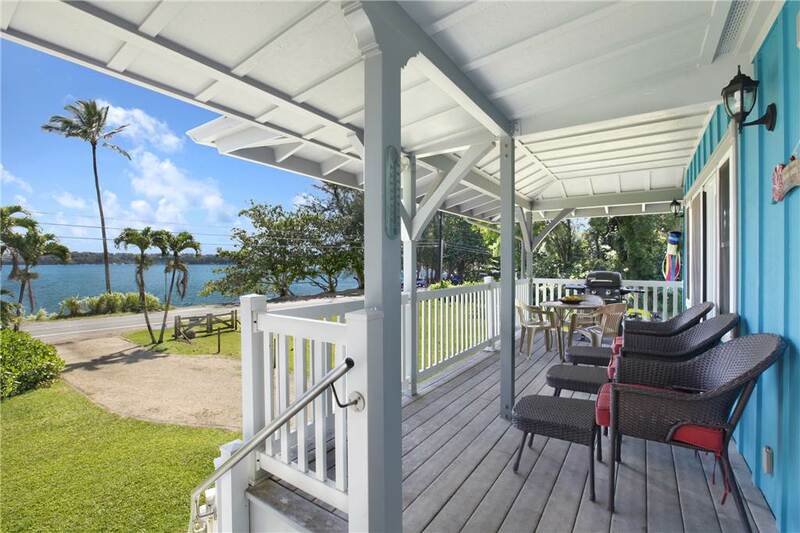 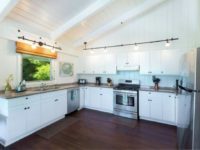 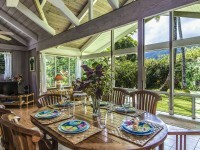 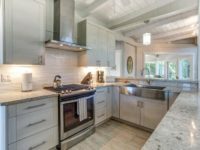 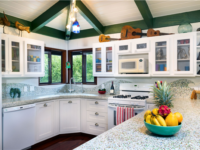 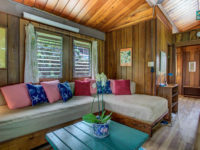 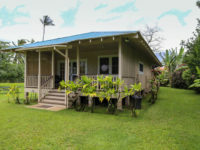 Newly remodeled and refurnished, Hanalei Plantation is a 4B/4B quite spacious and especially well designed home for families as well as couples travelling together. 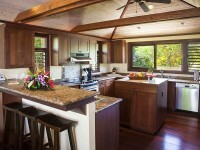 Many thoughtful amenities throughout the home add to guests’ comfort and enjoyment. 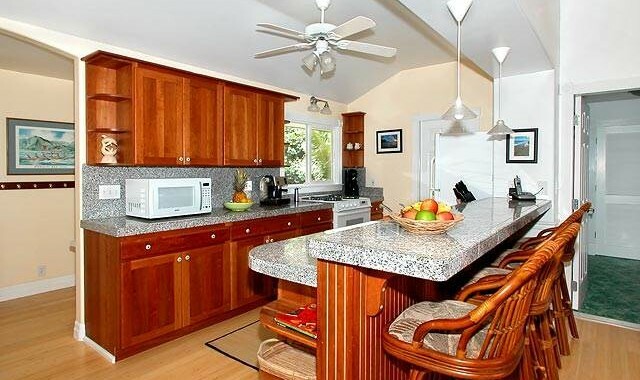 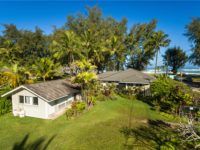 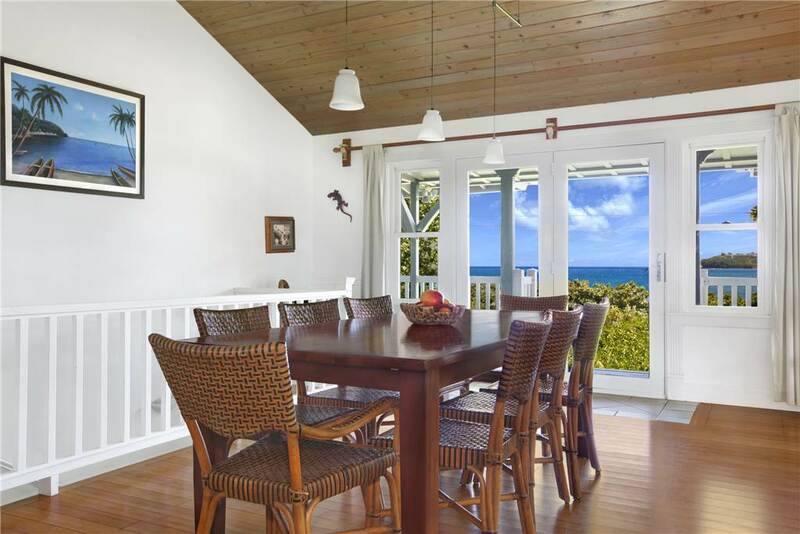 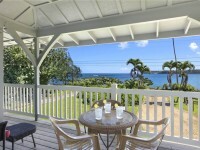 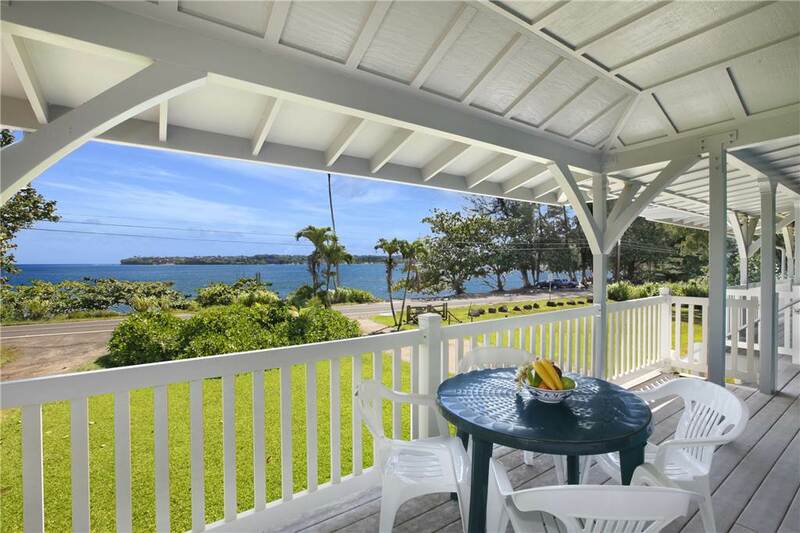 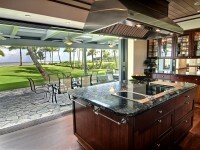 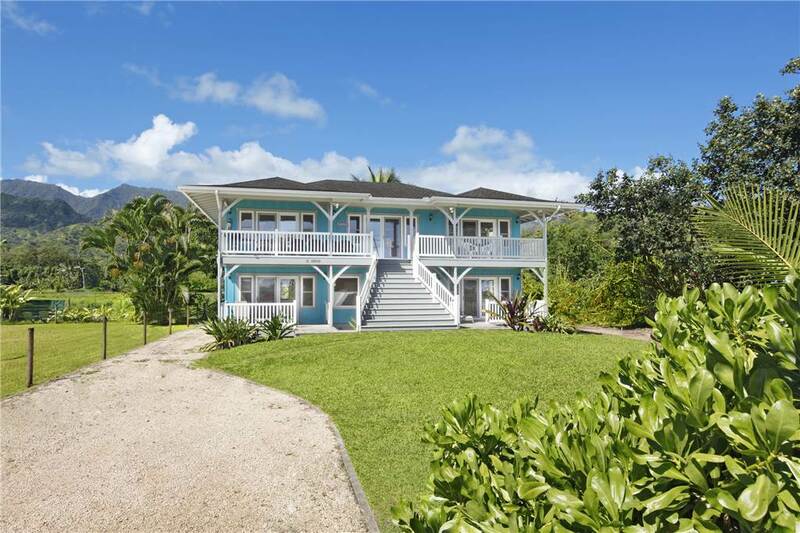 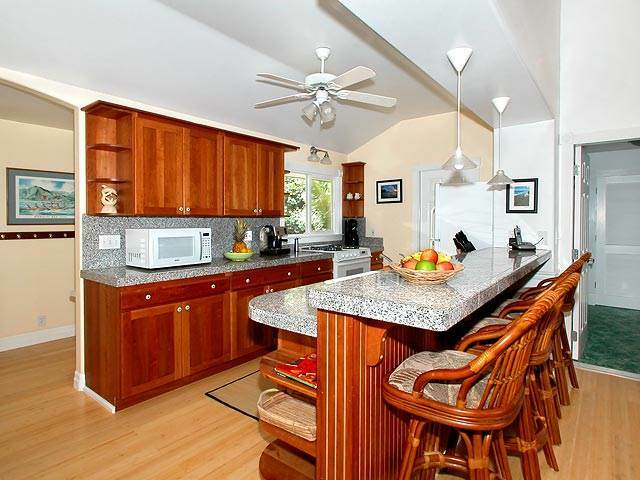 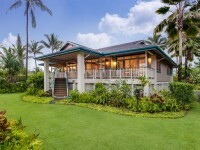 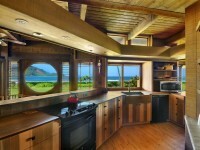 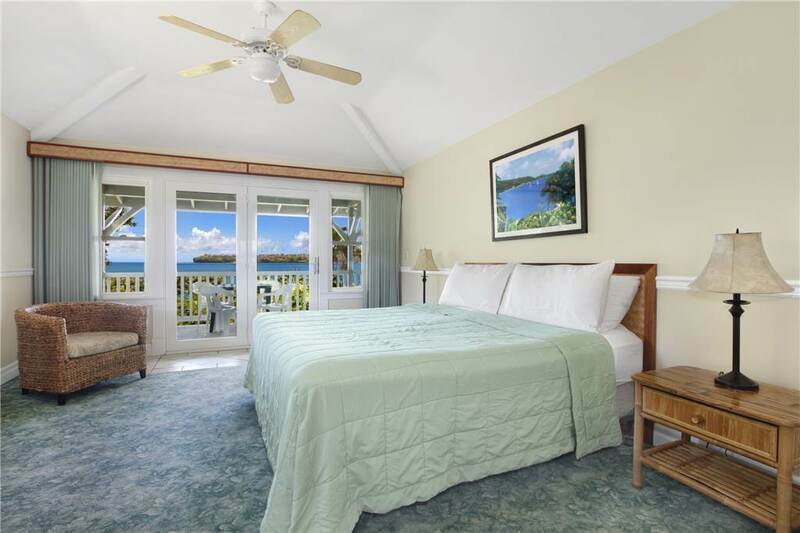 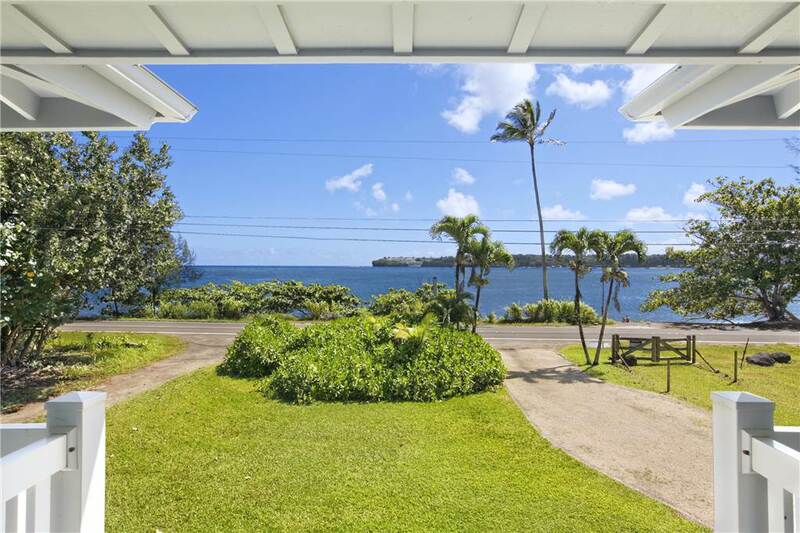 Enjoy views of the ocean from nearly every room as well as from the large lanais on the front of the house. 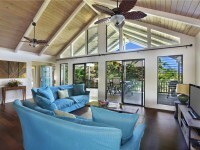 The spacious great room upstairs is an ideal place to gather together in total comfort. 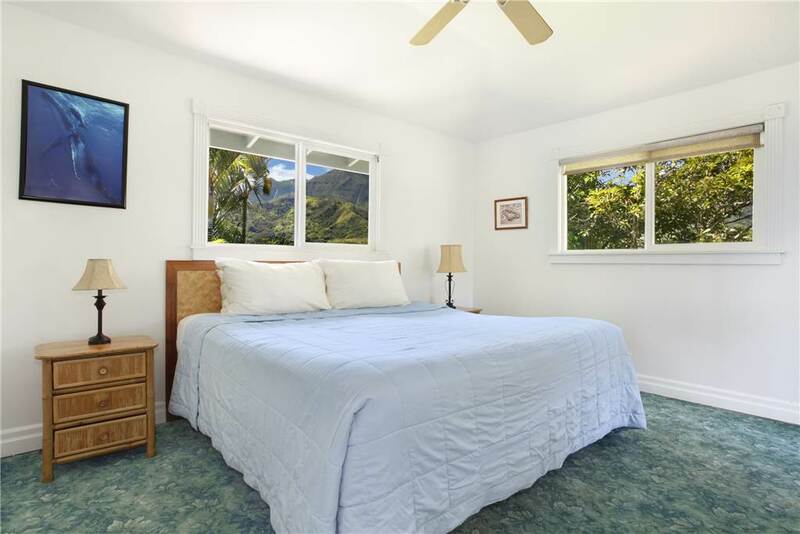 The two upstairs bedrooms are located on opposite sides of the home for greater privacy. 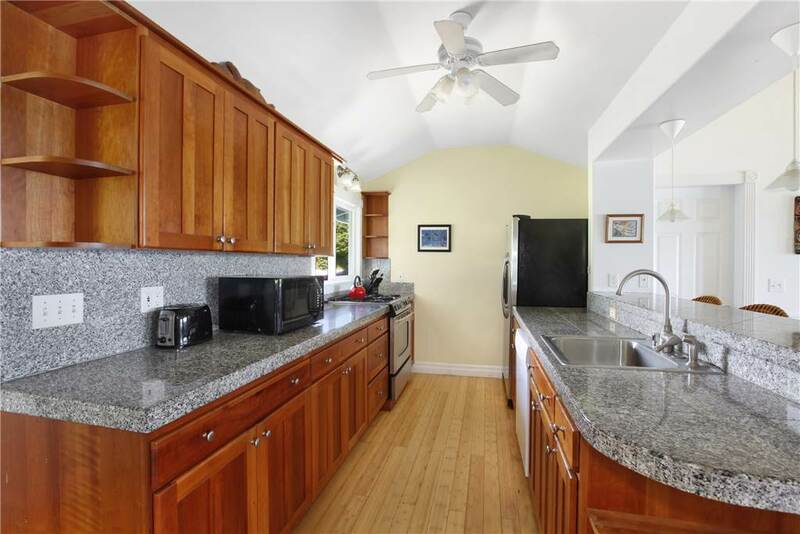 The kitchen is large and fully equipped for times when you choose to dine at home and the granite counters add an elegant touch. 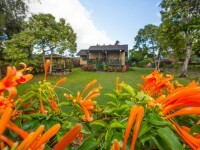 You may want to check out a local sunshine market for fresh, island produce to include in your recipes. 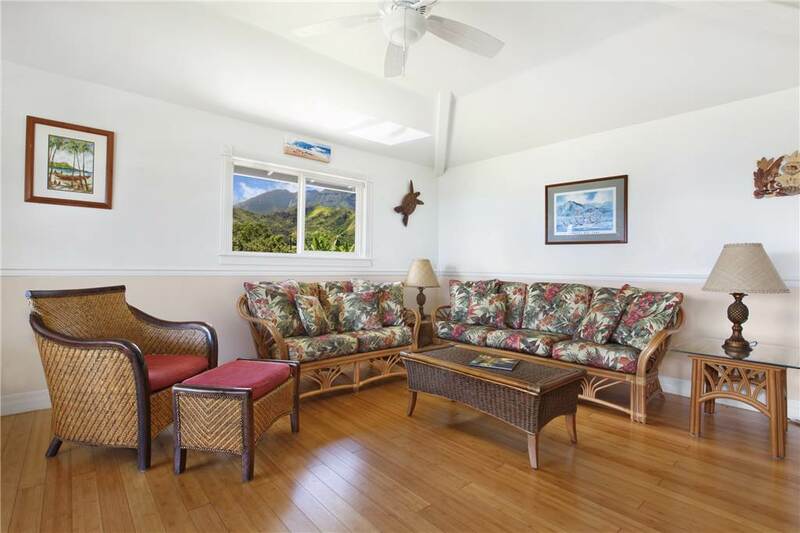 There is a second living room downstairs as well as two additional bedrooms on opposite sides of the house. 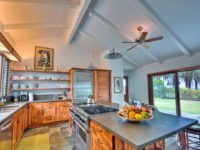 Its overall design and spaciousness make this home a perfect choice for families and friends who enjoy each other’s company yet want private space for quiet moments. 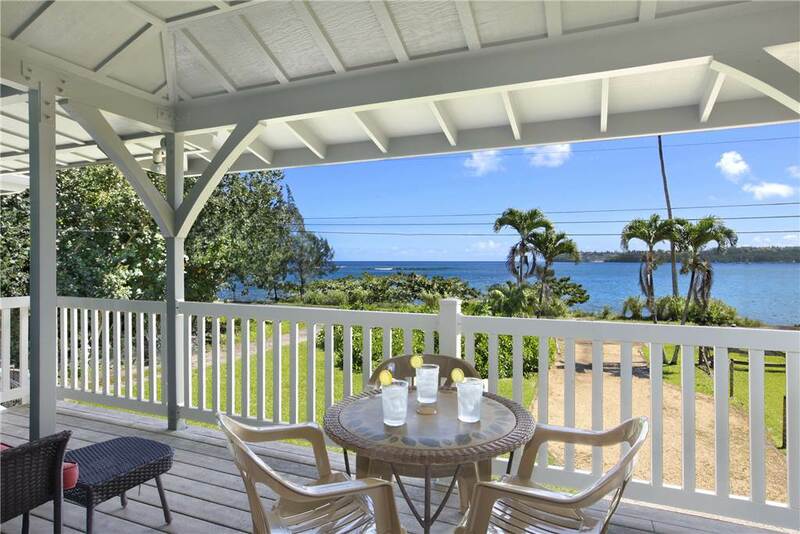 Relax in the gentle breezes on either of the large, ocean-facing lanais to enjoy wonderful ocean and garden views. 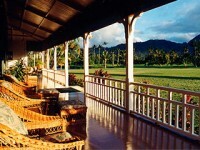 Here you can sip morning coffee, have a cool beverage in the afternoon and watch for the colorful skies of sunset. 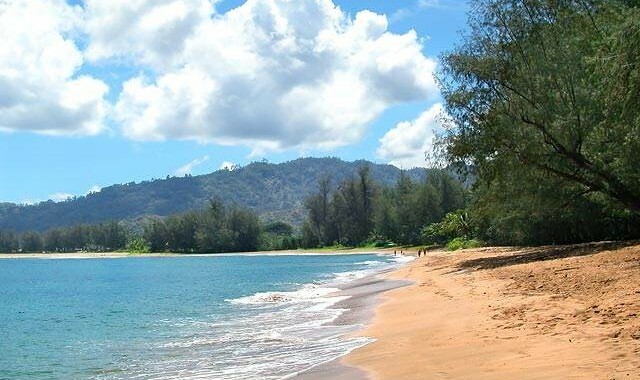 The crescent-shaped beach at Hanalei Bay, voted among the world’s best beaches, is just a short walk away. 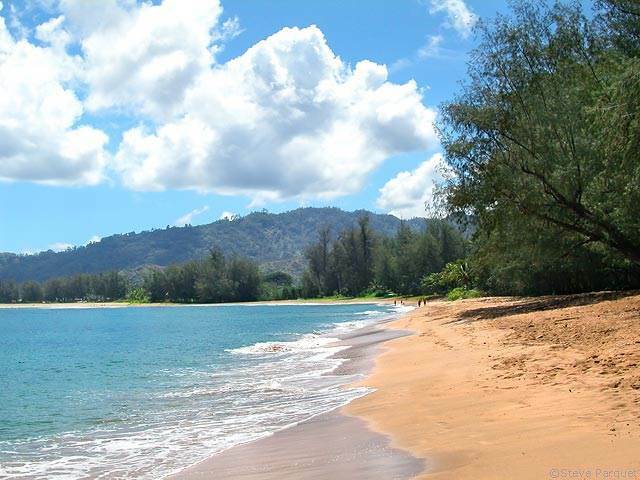 Bring a picnic lunch to enjoy at your leisure and have fun along the shore. 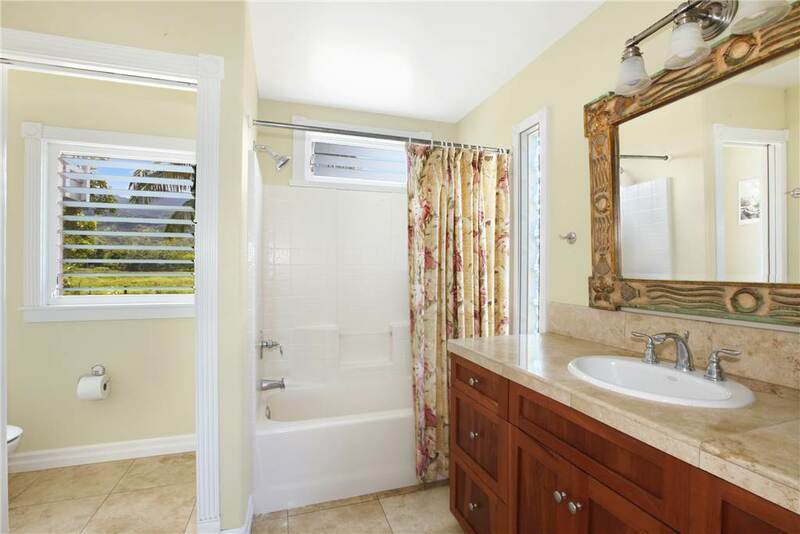 When you return home, you will appreciate the convenience of two outdoor showers for rinsing off. 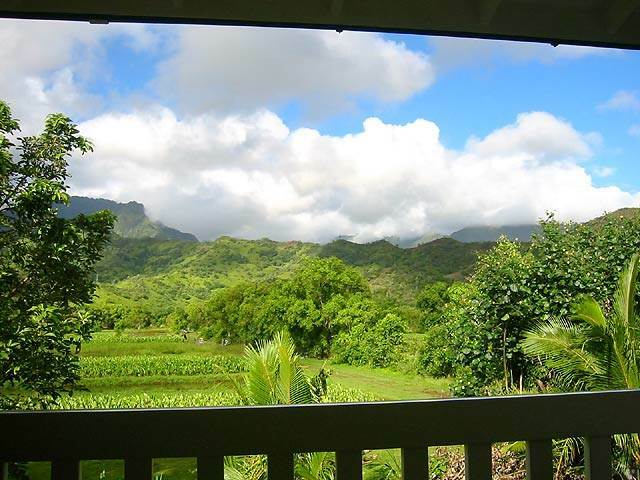 Stroll through the charming town of Hanalei and explore small shops, galleries and eateries. 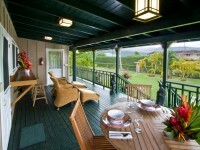 There is a nice variety of restaurants and cafes here that offer many choices of cuisine.